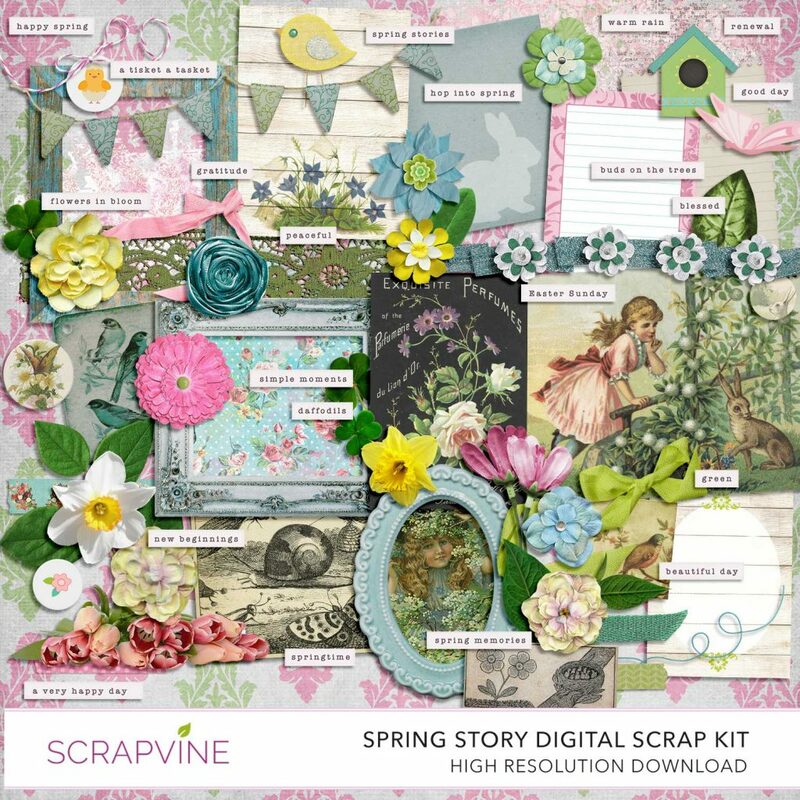 Spring story is a digital scrapbooking kit perfect for Easter and springtime layouts. This digital scrapbook kit includes a total of 20 scrapbook papers, 21 spring themed word strips and a ton of beautiful embellishments for all of your Easter scrapbook layouts and spring time journals! The pastel colors of pink, yellow, light blue, and teal are the perfect compliment for many spring and Easter related photos. Each item is in .png or .jpg form and will work in any digital scrapbooking or photo editing programs which allow you to add images. As always, all of our kits are quality checked and are in high resolution 300 ppi format suitable for printing out your layouts or for use in photo books. 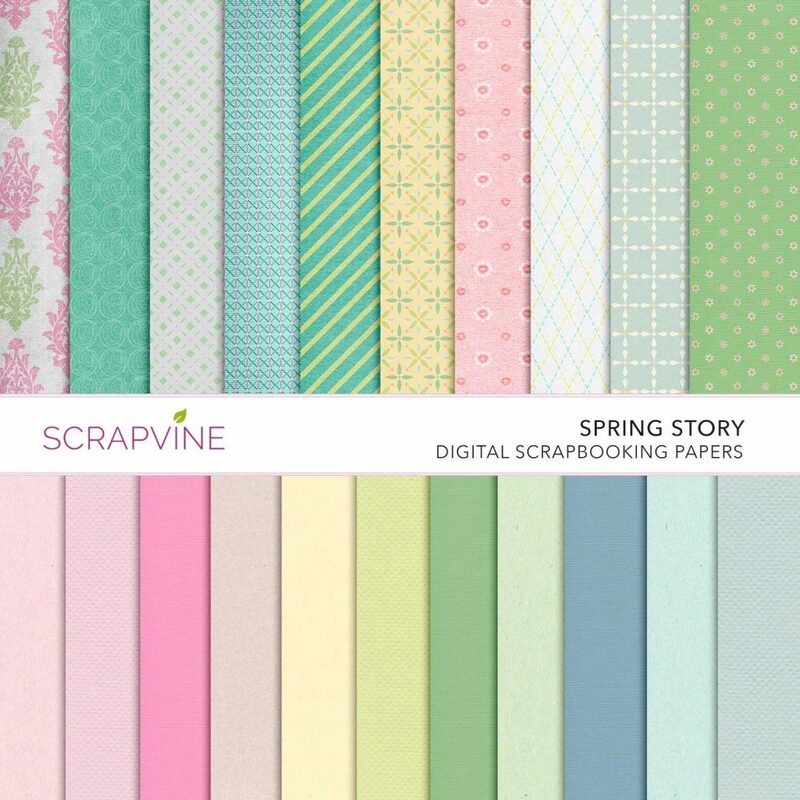 Perfect for Easter and Spring Scrapbook Layouts and Craft Projects! All of our kits are free for personal non-commercial use. Credit is always appreciated but not required! I hope you enjoy this digital download and of course if you make anything with it we would love to see what you create!